Biden's political fortunes rose in tandem with the financial industry's. At 29, he won the first of seven elections to the U.S. Senate, rising to chairman of the powerful Judiciary Committee, which vets bankruptcy legislation. On that committee, Biden helped lenders make it more difficult for Americans to reduce debt through bankruptcy -- a trend that experts say encouraged banks to loan more freely with less fear that courts could erase their customers’ repayment obligations. At the same time, with more debtors barred from bankruptcy protections, the average American’s debt load went up by two-thirds over the last 40 years. Today, there is more than $10,000 of personal debt for every person in the country, as compared to roughly $6,000 in the early 1970s. That increase -- and its attendant interest payments -- have generated huge profits for a financial industry that delivered more than $1.9 million of campaign contributions to Biden over his career, according to data compiled by the Center for Responsive Politics. 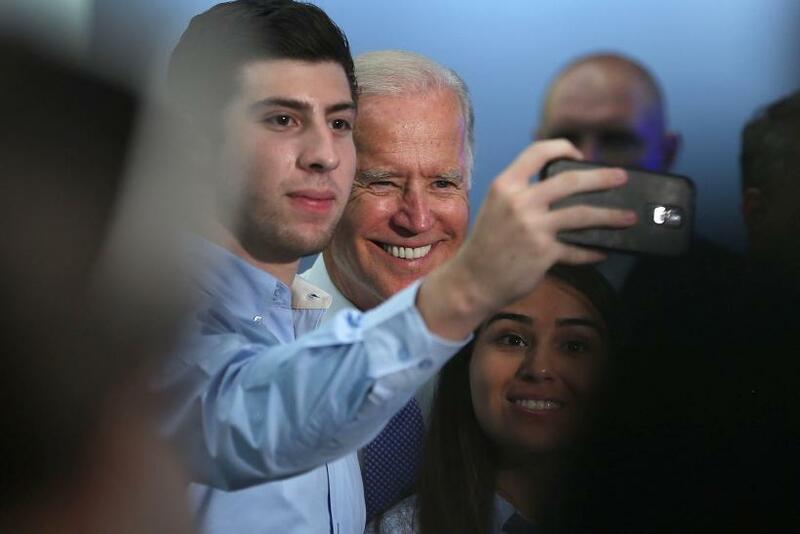 Student debt, which grew as Biden climbed the Senate ladder and helped lenders tighten bankruptcy laws, spiked from $24 billion issued annually in 1990-91 to $110 billion in 2012-13, according to data from the Pew Research Center. According to the Institute for College Access and Success, as of 2012, roughly one-fifth of recent graduates’ student debt was from private loans that “are typically more costly” than government loans. Consequently, every major Democratic presidential candidate has introduced his or her own plan to reduce college debt. Biden himself has spotlighted the issue as he has publicly pondered a White House bid. Earlier this month he attended an event to discuss student debt at community colleges, telling students at Miami-Dade College: “I doubt there were many of you who could sit down and write a check for $6,000 in tuition without worrying about it.” His comments amplified his rhetoric from the 2012 election, when he decried the fact that "two-thirds of all the students who attend college take out loans to pay for school." He said that the accumulated debt means that when the typical student graduates, "you get a diploma and you get stapled to it a $25,000 bill." But advocates for stronger protections for debtors argue that Biden was a driving force in creating the laws that made the problem worse. 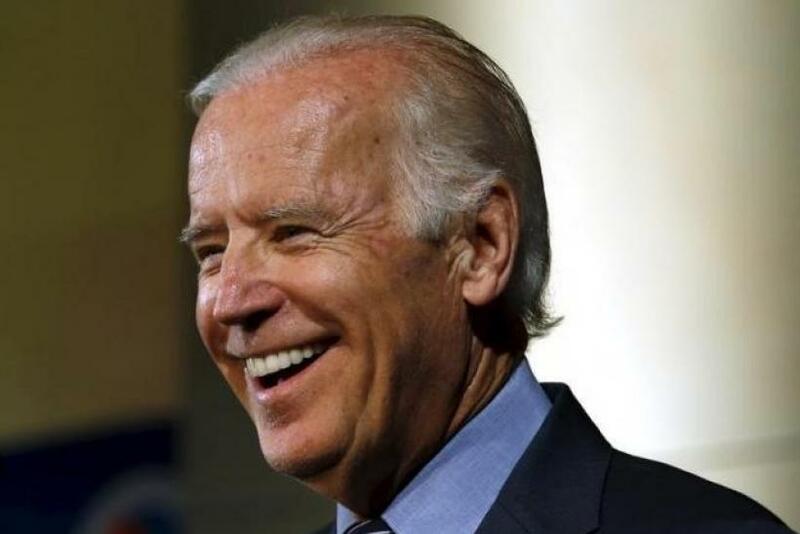 “Joe Biden bears a large amount of responsibility for passage of the bankruptcy bill,” Ed Boltz, president of the National Association of Consumer Bankruptcy Attorneys, said in an interview with IBT. That legislation created a crisis, said Northeastern University law professor Daniel Austin. Federal Reserve data show that about 1.1 million people face student debt loans of $100,000 or more, and roughly 167,000 face student loans of $200,000 or more. For debtors like Ryan, such dire predictions about the bankruptcy legislation appear to have come true. Biden was first elected to the Senate in 1972, just as allegations about students abusing bankruptcy courts were beginning to make headlines. As recounted by Reuters’ Maureen Tkacik, major newspapers started publishing anecdotes about students who took out large college loans and then quickly declared bankruptcy to avoid paying them off. A federal commission issued a report during Biden’s first year in Congress recommending that government-backed education loans be barred from bankruptcy protections for at least five years after a student graduated. Still, Congress moved to amend the nation’s 80-year-old bankruptcy code. The bill proposed in 1978 included provisions to specifically block most students from seeking bankruptcy protections for their federal student loans immediately after they graduated. The proposal quickly divided the Democratic Party. Michigan Democratic Rep. James O’Hara said the student loan exemption would be “treating students, all students, as though they were suspected frauds and felons;” Pennsylvania Democratic Rep. Allen Ertel said that failing to pass the restrictions would create a bill “almost specifically designed to encourage fraud” by students. As the legislative debate intensified, Biden was appointed to serve as one of three of the Senate Democrats’ representatives in a conference committee to meld the House and Senate versions of the legislation. The National Consumer Law Center sent a letter to Biden and other Senate negotiators asking them to prevent the final bill from including what the group called an “unwise and unjust” crackdown on student debtors, congressional records reviewed by IBT show. But the legislation produced by Biden and his fellow conferees ended up including the provisions exempting government-sponsored educational loans from traditional bankruptcy protections for at least five years after a student graduates. In announcing the final deal, the sponsor of the bankruptcy legislation, Sen. Dennis Deconcini, D-Ariz., specifically thanked Biden in a floor speech for his “lengthy and time exhausting work” on the measure. Within a few years, the crackdown that began in 1978 would extend beyond just government loans. In 1984, as Biden was gaining seniority on the Judiciary Committee, the Delaware lawmaker reprised his role as one of his party’s top negotiators on a new legislative proposal. Under that bill -- which was signed into law by President Ronald Reagan -- bankruptcy exemptions were extended to non-higher-education loans like those for vocational schools, according to the U.S. Department of Education. 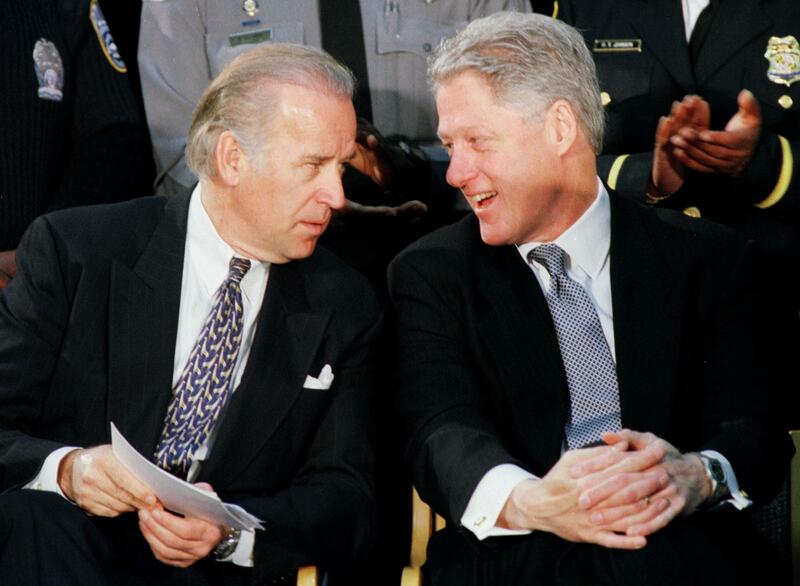 Then came the 1990 Crime Control Act, whose chief sponsor was Biden. Though the bill was primarily focused on toughening criminal sentences, Biden’s legislation also included provisions that further lengthened the amount of time debtors would have to wait before they got access to traditional bankruptcy protections for their federal and nonprofit student loans. A court ruling just this past June illustrates how difficult a legal barrier the standard was designed to be, even for the most cash-strapped debtors. In that case, a Clinton appointed federal judge, whose appointment was approved by Biden’s Judiciary Committee, ruled that a disabled 45-year-old woman whose entire income is $10,000 per year in Social Security did not meet the “undue hardship” test for discharging her student loans. Between 1978 and 2005, Americans saw their non-mortgage debt grow from an average of $6,000 to more than $10,000, adjusted for inflation. Though the economy and job market were booming in the 1990s, debt nonetheless was exacerbated by both stagnating wages and the rising cost of healthcare and student loans. Among students who borrowed, the typical amount of educational debt rose from about $12,400 in 1992 to more than $26,000 at the end of the 2000s, according to data compiled by the Pew Research Center. Despite congressional efforts to reduce protections for debtors, the incidence of bankruptcies increased from 1978 to 1999, from approximately one per 1,000 people to approximately five per 1,000 people. That prompted a legislative push at the end of the Clinton administration by lenders to once again make it harder for people to discharge debts in court. They argued that because the overall economy was strong, the rising bankruptcy rates proved that bankruptcy courts were being abused by debtors who could afford to pay their bills. During that period in the late 1990s and early 2000s, liberal Democrats such as Sen. Paul Wellstone of Minnesota countered that increasing rates of bankruptcy were not a sign of abuse, but the result of a convergence of factors bearing down on the disadvantaged. He cited liberalized lending rules that, by allowing poor people to take on more debt, inevitably led to a higher number of bankruptcies. Wellstone believed that the changes and their negative effects "shouldn’t have been used to make the bankruptcy laws even more draconian,” Wellstone’s bankruptcy policy adviser, Perry Lange, told IBT. Despite opposition from Wellstone and other liberals, Biden became a prominent Democratic supporter of legislation in 2000 to further restrict bankruptcy protections. The initiative was backed by one of Biden’s top supporters: Delaware-based credit card titan MBNA. 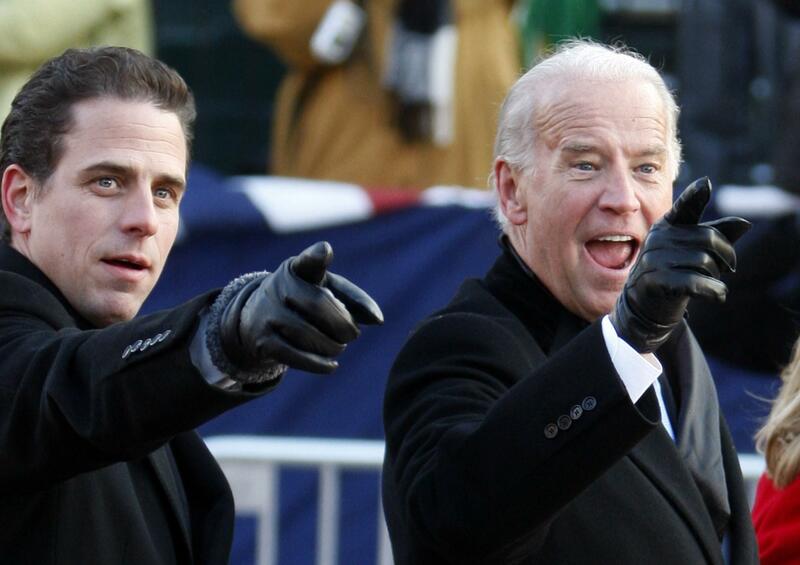 Not only had the company’s employees collectively become one of his largest campaign contributors, the firm had employed Biden’s son Hunter right out of law school and later paid Hunter Biden consulting fees while his father pushed the bankruptcy bill. MBNA's top executive had purchased Biden’s Delaware home for a price that Biden’s political opponents depicted as a sweetheart deal to a powerful legislator. But while the bill was primarily viewed as an initiative for credit card firms, it included a little-discussed provision to continue the crackdown on student debtors. Buried in the 400-page legislation was a section designed to make it more difficult for students to get bankruptcy protections not just for their government and nonprofit loans, but also for the educational loans they received from private financial firms. “The lenders have put constant pressure on Congress to exempt as much as possible from being discharged in bankruptcy over the years, and they succeeded by creating the caricature of a deadbeat who knowingly runs up debt rather than the reality of hardworking students reaching for the American dream but unable to find jobs when they graduate,” Dennis Kelleher, a former Democratic senate aide who now runs the Wall Street watchdog group Better Markets, told IBT. Robert Schiff, the Judiciary Committee counsel to Democratic Sen. Russ Feingold of Wisconsin, an opponent of the legislation, told IBT that Biden was a powerful adversary. As the financial industry, including private student lenders, pumped millions into lobbying, and as Biden was on his way to collecting more than $100,000 for his re-election campaign from banking interests, he became one of three Democratic senators appointed to the committee responsible for hammering out a final bill. When word came down that President Bill Clinton was threatening to veto the measure, Biden delivered a floor speech pressuring his own party’s president to reconsider. Though President Clinton had been an ally of the financial industry -- backing deregulation and raising campaign cash from Wall Street -- he ultimately vetoed the bill after First Lady Hillary Clinton reportedly pressured him to reject the legislation. Then George W. Bush assumed office -- after a campaign bankrolled by the financial industry -- and the bankruptcy bill quickly came back to life. In 2001, just eight weeks into the new Congress, and with the Senate evenly split between both parties, Biden began once again playing a pivotal role as a co-sponsor of the legislation. When the bill first came up, Biden cast the only Democratic vote for it in the Judiciary Committee, allowing the measure to advance to the Senate floor. Biden then worked aggressively to promote the legislation’s passage. During a floor debate with Feingold over the measure, he presented his effort to help the financial industry pursue debtors as a crusade to keep overall interest rates low for consumers. Biden asserted that he was concerned about the financial pressures of student debt, noting that students "declare bankruptcy because they run up tens of thousands of dollars in loans to go to college.” But the solution, in Biden’s view, was not to strip out the section of the bankruptcy bill that cracked down on student debtors. Instead, he suggested the remedy was his separate proposal to make college tuition tax deductible. The bankruptcy bill initially passed the Senate, with the help of Democratic powerhouses such as then-Sen. Hillary Clinton, D-N.Y., (who would later revert to her previous position of opposing it). Biden kept pushing, lobbying Democratic Majority Leader Sen. Tom Daschle of South Dakota to appoint him to be one of the party’s representatives on the conference committee to negotiate a final bill with House members. At the time, Democratic opponents of the bill worried that appointing Biden would tilt the legislation toward lenders. The head of one trade association for lenders called Biden "the only Democratic true believer" in support of the initiative. One Republican staffer “said that excluding Biden from the conference would likely doom the bill,” according to Congressional Quarterly. Biden’s 2001 push to pass the bankruptcy initiative ran into a coordinated campaign from consumer groups and unions who backed Wellstone’s efforts to block the legislation. During the debate, the Minnesota senator pointed to data to argue that most bankruptcies were not related to abuses by debtors who could afford to pay, but stemmed from high medical expenses and job losses. Wellstone assailed the bill as “a bailout for the big banks and credit card companies,” and he specifically slammed Biden’s top campaign contributor, MBNA. “People who find themselves in terrible economic circumstances through no fault of their own do not have the same kind of clout that MBNA Corporation has,” Wellstone said. Biden took umbrage at those who depicted him as a tool of his donors. “No one has ever accused me of being a friend of the banking industry,” he said. In the end, the House did not pass the 2001 bill, killing it over a disagreement on an abortion-related provision. In 2005, though, lawmakers and financial industry lobbyists resurrected a new version of the legislation -- one that included provisions to make it more difficult for students to get bankruptcy protections not just for their government loans but also for the loans they received from private financial firms. This time around there was no Wellstone, a liberal icon who had died in a 2002 plane crash, to lead the Democratic opposition to the initiative. With Biden’s support, the bankruptcy legislation sailed through the Senate in the first few months of the new congressional session. In April, it was signed into law by President George W. Bush, whose top campaign contributor had become MBNA. While the student provisions slipped into the 2005 legislation received little scrutiny at the time, the new language represented an “extraordinarily problematic” legal shift, Northeastern University’s Daniel Austin said. “Federally guaranteed student loans are subject to forgiveness and repayment programs through which borrowers pay based on their income, with the loan being forgiven after 20 to 25 years,” Austin said. He explained that such debtors may also be eligible for loan consolidation and other “borrower-friendly remedies.” But those kinds of assistance don’t apply to private loans. Private lenders aren’t obligated to renegotiate payments or offer other forms of relief. “Yet, private lenders got additional protection of the ‘undue hardship’ exception to bankruptcy discharge,” Austin said. The timing of the 2005 bill was particularly significant: The cost of college was skyrocketing, combined with a financial crisis that would send many unemployed workers back to school for additional educational credentials. The cost of an average private education has increased by more than 22 percent and the cost of public education has jumped by more than 32 percent since the 2005 bankruptcy bill passed, according to data collected by the College Board. The Wall Street Journal has reported that in roughly the same time period Federal Reserve data show that total student debt has doubled and almost a quarter of student debtors are not keeping up with their payments. However, with federal education loans failing to increase as fast as the tuition hikes, private lenders have become an increasingly significant player in financing education. Students’ outstanding private educational debt went up from just $55.9 billion in 2005 to over $150 billion today, according to the Consumer Financial Protection Bureau. "They removed the protections for borrowers just as the cost of higher education and student debt burdens began to rapidly increase," Adam Minsky, an attorney based in Brookline, Massachusetts, who helps student debtors navigate legal issues, said. The Consumer Bankers Association, a trade association for lenders, has downplayed the role of private student loans in that trend, telling the Wall Street Journal that less than 3 percent of those with such loans are in “financial distress.” But with the Biden-backed bankruptcy restrictions preventing courts from discharging most educational debt, more and more students have complained to federal regulators that private banks are unwilling to renegotiate the terms of high-interest loans. As Biden now mulls a presidential bid, his supporters have stressed his work as vice president in championing the White House’s Middle Class Task Force, and they have cited his initiatives promoting college affordability, green jobs and boosting wages. They have also cast Biden as merely a reluctant supporter of the bankruptcy legislation. “In an effort to reach a bipartisan compromise after nearly a decade of debate in Congress, then-Senator Biden made the tough decision to vote for the bipartisan bill,” Biden spokesperson Stephen Spector told IBT. 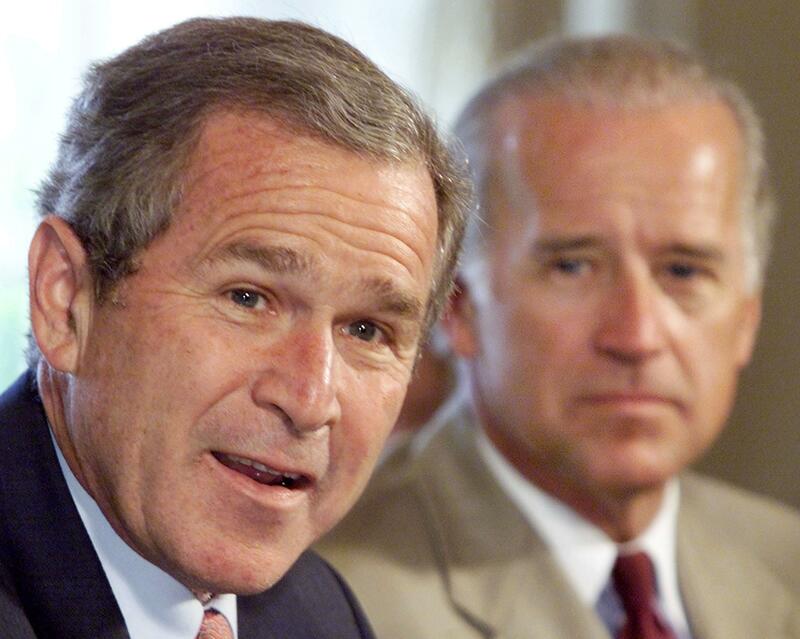 That portrayal, though, was disputed in 2002 by Democratic Sen. Elizabeth Warren of Massachusetts, then a Harvard law professor, in a paper documenting Biden’s central role in spearheading what would become the final 2005 legislation. Spector asserted that Biden’s support for the 2005 bankruptcy legislation was not motivated by a desire to help the financial industry. He said Biden had demanded “safe harbors to help low-income workers, veterans, members of the military, women and children -- despite opposition from the largest employer in his state,” the finance industry. Biden did support provisions in the bankruptcy bill to further prevent divorced parents from using bankruptcy to avoid paying alimony and child support. However, Biden also led the fight against his own party’s efforts to soften the bill’s impact on some of the most vulnerable debtors. In one case, he voted against an amendment that would protect divorced mothers who failed to receive child support from having to repay a portion of their debts in bankruptcy. He voted to oppose an amendment barring firms from charging more than 30 percent interest on loans. In still other cases, he voted against extending special bankruptcy protections for soldiers, victims of identity theft and those with especially high medical debt. Since the bill passed, the political debate over its effects has continued to simmer. “Bankruptcy protection remains available for those in need,” Jeff Sigmund, a spokesperson for the American Bankers Association, told IBT. “The bankruptcy law helped to eliminate abuses and ensure the bankruptcy system is used fairly." A report from Wayne State University researchers found that the bill reduced bankruptcies by 44 percent. By contrast, analyses by Federal Reserve Bank researchers reported that the 2005 bill worsened the foreclosure crisis, by compelling debtors to pay unsecured debts like credit cards instead of paying down their mortgages. Democratic lawmakers say the effect of the student loan provisions has been devastating. Meanwhile, critics say changes in higher education financing mean that Biden’s bankruptcy reforms have even more pronounced consequences now. “Many of these bankruptcy laws were made in a world where most of college financing came from grants and a small percentage comes from loans, but that’s now flipped,” Kelleher, of Wall Street watchdog Better Markets, said. The combination of decreasing public funding for higher education, spiking tuition rates and the rise of for-profit colleges “should cause policymakers to give people back the ability to have bankruptcy courts treat their student debts like any other debt,” Kelleher said. Biden’s office did not answer IBT questions about whether he supports Democratic efforts to repeal the student lending provisions of the 2005 bill. If Biden chooses to run for president in 2016, he may be forced to respond to such queries, just as he was in the 2008 campaign when the issue had unexpected political traction. "When I was in Iowa in 2007, I remember being surprised when a few people kept bringing up Biden's role in passing the bankruptcy bill,” Biden’s former political aide Jeff Connaughton said. “I didn't fully realize then that certain voters were quite upset about it." In the 2008 general election, Democratic presidential candidate Barack Obama -- who voted against the 2005 bankruptcy bill -- criticized Republican nominee John McCain for supporting it. During a vice presidential debate, Biden was pressed about the same legislation. He responded by defending his support for the bill yet also saying he believed new laws were needed to give some debtors more protections. The latter call previewed Biden’s more populist rhetoric as vice president -- a position in which he has occasionally criticized credit card companies and has backed a federal study looking at whether to give those facing educational debt more bankruptcy protections. That shift, say some Democrats, shows that Biden’s Senate record representing Delaware does not necessarily present a full picture of how he would operate as president, should he win the White House in 2016. Whatever its political repercussions now, the legislative push by Biden a decade ago reverberates in the lives of thousands of burdened former students. For Jennifer Ryan, now 44, it has meant the imminent loss of her Massachusetts home, garnished wages from her teaching job -- and little prospect of relief.